Austrian kitchens are often overlooked in the food industry. And I don't understand why everything is delicious! Some of the most delicious and well-known German dishes are actually from Austria. You're guaranteed to overindulge while in Austria, and I say do it. Treat yo self. Is there a lot of Vegetarian food in Austria? If you're a vegetarian you may have to work harder in Austria to find food. Meat is an essential part of the cuisine and you'll find chicken, beef, pork, and even geese in many dishes. One of the most popular things you must try in Austria is the huge variety of sausages. The popular ones are Frankfurter, Debreziner, Grune Wurstl, Burenwurst, and Krainer Wurst. Originally from Vienna and originally made from veal (but you can also find it made with pork, chicken or turkey meat), it's also the most well-known food in Austria. You'll find both savory and sweet versions of traditional Austrian dumplings. 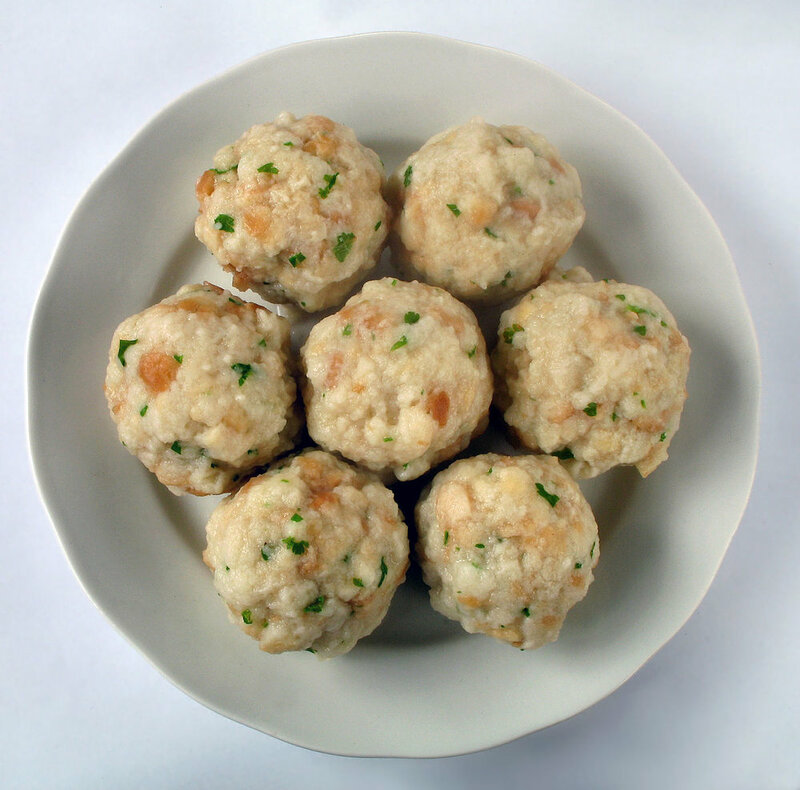 The most popular savory dumplings are potato dumpling (usually served with a pork roast) and the maybe even more famous bread dumpling (‘Semmelknödel‘ or ‘Serviettenknödel’ if it’s not ball-shaped) which is traditionally served with soft boiled beef or ragout. Sweet dumplings are usually filled with fruit. Listen up vegetarians, this is going to be your go-to dish. I can best describe it as similar to gnocchi, although it does take a different shape. It is usually served with mushrooms and delicious pasta. A special cut of beef that is boiled in a vegetable broth until it is soft. You'll usually find it boiled with root vegetables ans served with bread dumplings. You probably know this as charcuterie. In Austria, basic versions are served with cold cut meats, cheeses, spreads, pickled vegetables and a bread basket. 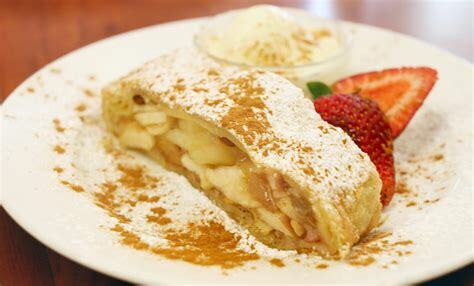 Definitely something you can't miss, strudel in Austria is typically served with apples. It's a sweet dessert with paper thin pastry sheets. More sweet dishes to fill you up. This one is basically small bits of fluffy pancakes served with apple sauce and loads of icing sugar on top. It kind of looks like a funnel cake if you've seen those. These are thin pancakes or crepes usually filled with (apricot) jam and rolled, or with scoops of vanilla ice-cream and folded. One last thing... even though researching ahead of time is great, I definitely recommend bringing a guidebook along with you. Also, a super common question I get is: What camera do I use for my travels. The body is a Nikon D3300 and I use the kit lens and a Sigma wide-angle lens which I am genuinely obsessed with. Make sure you don't miss any of the great food in Austria. Here are all the things you should try when there.